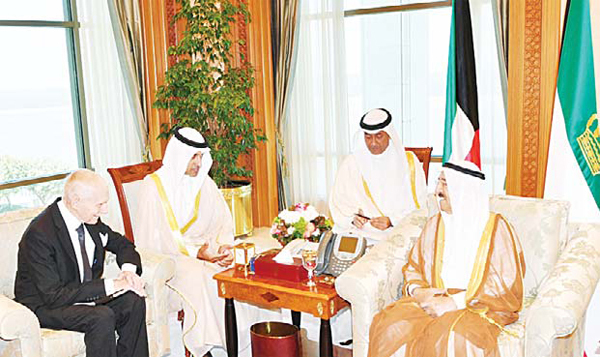 HH the Amir Sheikh Sabah Al-Ahmad Al-Jaber Al-Sabah during his meeting with IOM Chief William Lacy Swing, Sunday. 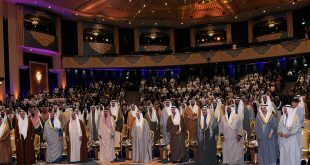 KUWAIT CITY, Aug 12, (KUNA): Millions of vulnerable people have been helped through the generosity of His Highness the Amir and that of the Kuwaiti people, said Director General of the International Organization for Migration (IOM) William Lacy Swing on Sunday. 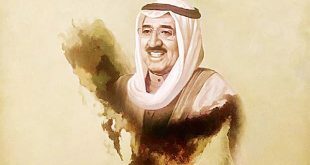 “I came primarily just to express the gratitude of not only the International Organization for Migration but the millions of vulnerable people who have been helped through the generosity of His Highness the Amir and that of the Kuwaiti people,” Swing said in a statement after being received by His Highness the Amir Sheikh Sabah Al-Ahmad Al-Jaber Al-Sabah earlier Sunday. 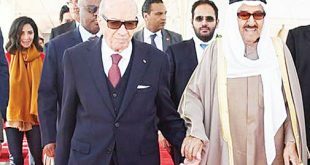 “I was very honored to be received by His Highness the Amir of Kuwait today, it’s the end of the series of meetings I’ve had. 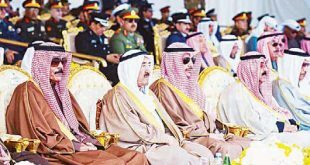 I’ve been to Kuwait more than any other country in the Gulf area, and he has always been generous in receiving me,” Swing noted. “Whether it’s Syria, Iraq, Yemen or other areas, I wanted to thank him for that. 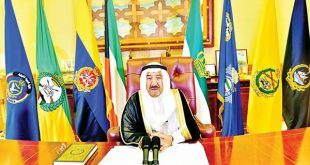 Explore with him whether there are other areas where we might be able to support the Kuwaiti government’s priorities,” he continued. “We talked a bit also about the state of the world now with the many armed conflicts that show no sign of solution in the short to medium terms. The need for a stronger leadership in the world and so forth. “I will say that my calls with him, my meetings with him, were among the most satisfying experiences that I’ve had since I took this position 10 years ago,” he added.